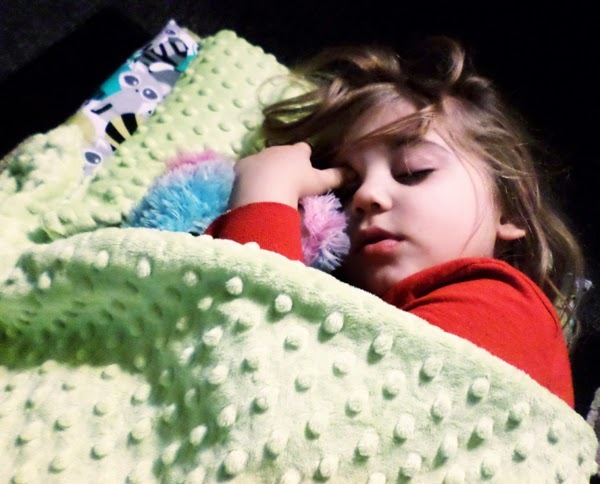 I LOVE the idea of getting children to take a nap throughout the day, but it isn't always easy to get them to go to bed to do it - nor do most children want to just nap on the floor, unless they are already overly tired and ready to drop! If you've wondered what the next big thing in creature comforts for children at nap-time is, then you've certainly found it with Janiebee.com! Janiebee.com has a wide selection of quilted nap-mats for children, which are incredibly cute from top to bottom, with a soft sectioned pad for sleeping, filled with 2" polyester quilters' batting [and zero foam whatsoever!]. These adorable nap mats measure 20" - 21" across and are 53"-55" long, with an attached Minky brand dimpled blanket, topped with a comfortable pillow that hosts a side opening to allow that it be removed and washed separately between washes of the mat, which is fully machine washable on its own terms, as well! 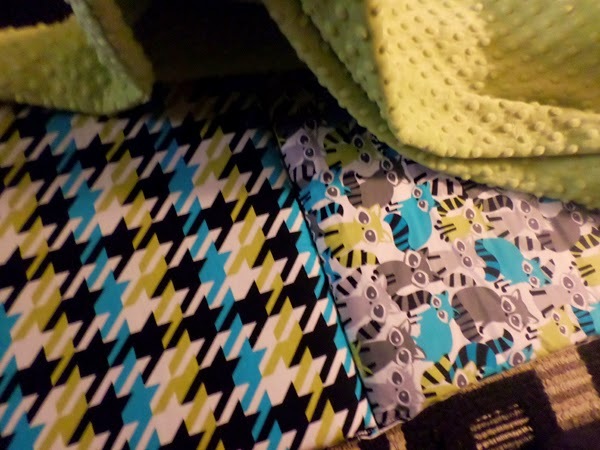 I ordered the Ricky Racoon Nap Mat, from Janiebee.com last week and it arrived swiftly and safely packaged and [from the moment it came out of that box] it was a huge hit in our home! My daughter immediately took to the mat and wanted to get into bed and go to sleep! Before I had even a second to decide which of my children might like it, I think it had found a home on its own! My daughter is 4 years old in February and she outgrew her older nap mat as it was a lot shorter than this one and so I was pleasantly surprised to see that his mat is so much bigger than her that she will easily get a few years out of this mat and she has a lot of room to grow! Not only is my daughter comfortable within the nap mat but she truly adores the pattern, too - she is a giant animal lover and so the Ricky Racoon design had her jumping with excitement and she couldn't be happier to lie down for a nap now that she had a new, comfortable place to do so, without having to take herself off to her bedroom and away from the rest of the family! This nap mat, and all nap mats sold at Janiebee.com, are up to standard with safety and pass government regulations and are a great bed-away-from-home to take camping, to use at sleepovers or even grandma's house - my daughter wants to take hers everywhere and just lounge on it while she flips through a book or plays at home. Janiebee nap mats make it into our Holiday Gift Guide this year, so why not head on over to Janiebee.com now and pick one up for your little-one this season! Even better, if you enter the coupon code: GOBRONSON at checkout to save 15% on your order! You can also connect with Janiebee on Facebook and Twitter to keep up to date with all their latest news! 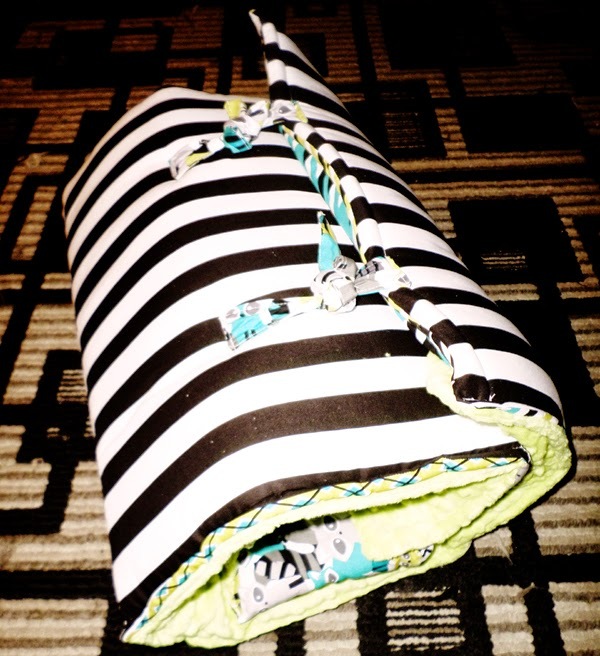 The folks at Janiebee.com are so generous and know that you will love their nap mats so much that they would like to offer ONE of our readers the chance to win a nap mat of their choice, with personalization, which you can see on your mat when it is rolled to a close! To be in with a chance of winning, all you have to do is enter via the Rafflecopter, below! No enty is mandatory; you may enter as litle or as much as you prefer but, the more you do, the more chances you will have to win! You must be 18 or older to enter, or have your parents permission to do so. You must reside in the U.S.A.
All entries are verified and any entries that do not meet requirements will be disqualified. Giveaway ends 11/26 and the winner will be notified via email and will have 48 hours to respond so, please enter with a valid email! If the winner does not respond within that 48 hour period then the win will be disqualified and a new winner will be chosen - this is to keep our giveaways timely and orderly. We reserve the right to cancel this giveaway at any time without notice, without recourse. *Note: Neither Mom's Gone Bronson or any other blogger participating in this giveaway is at all responsible for prize fulfillment, this falls to janiebee.com, thank you! SO! Now that you know the nitty-grity, please enter below! - GOOD LUCK! Disclaimer: I was sent a nap mat in exchange for this review, but all opinions are my own! Your views may differ, thank you! I love the Cosmos! It is adorable! Ahhhh... I like them all but Forest is my favorite! all look wonderful,but got to go with the garden walk too! 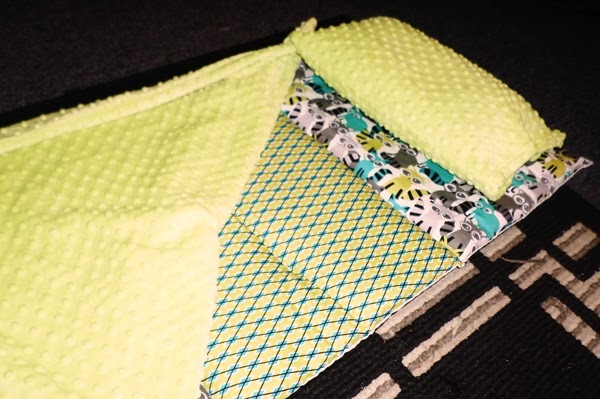 Absolutely love the Caravan Quilted Nap Mat!! My favorite design would have to be the Cosmos design! I think I would pick the Rick Raccoon like you received, but I also like the Garden Walk design for a little girl. I think the Garden Walk is my favorite!